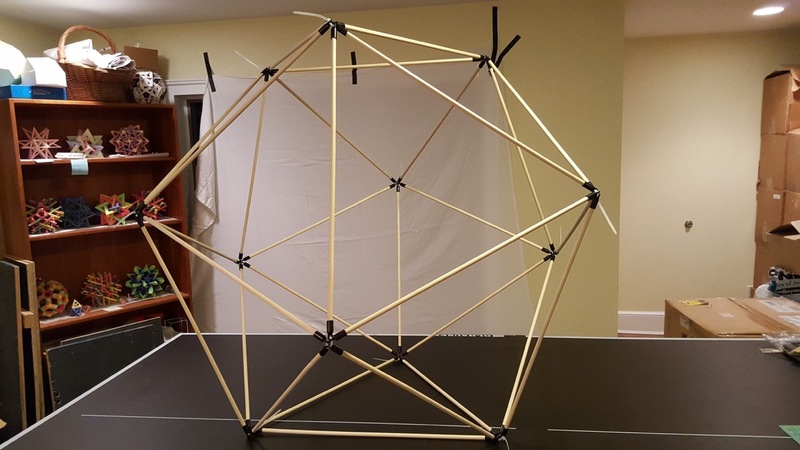 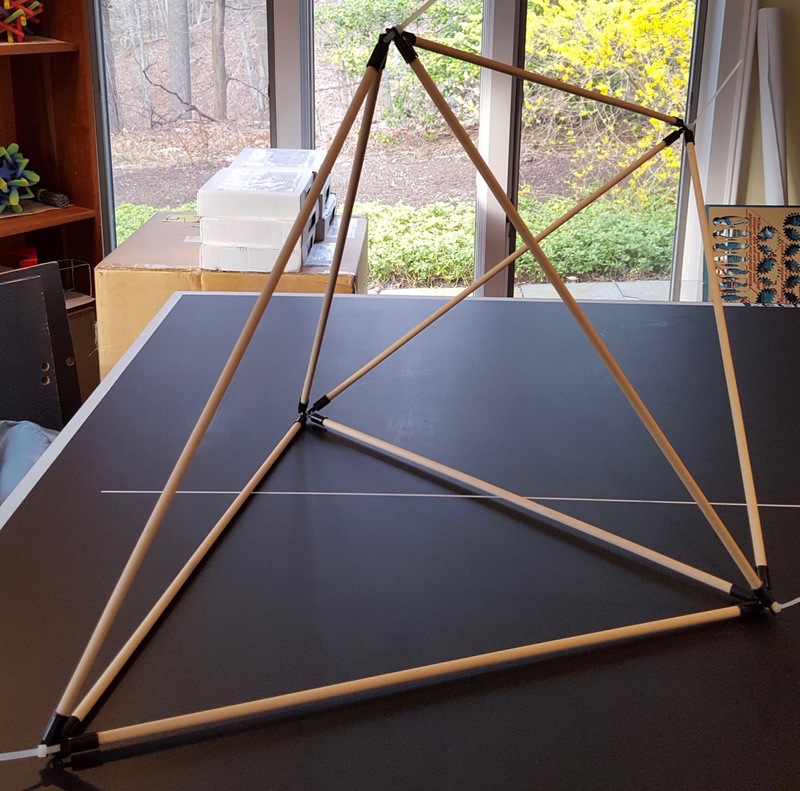 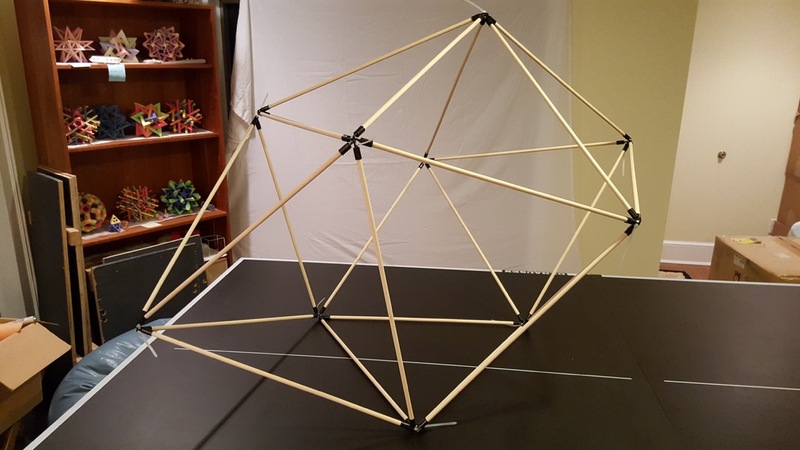 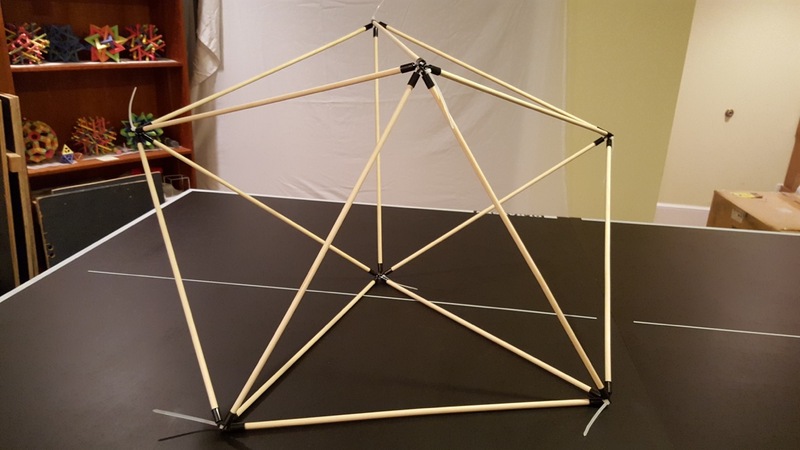 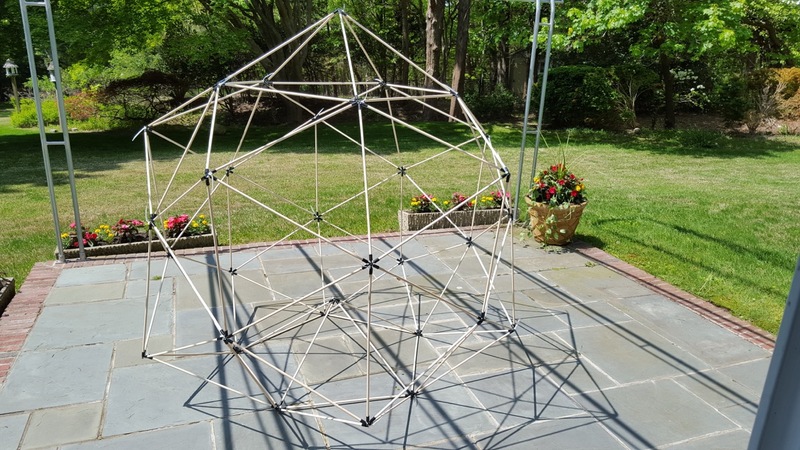 ZipStix can now be purchased online in two versions: Giant Icosahedron and Stella Octangula. 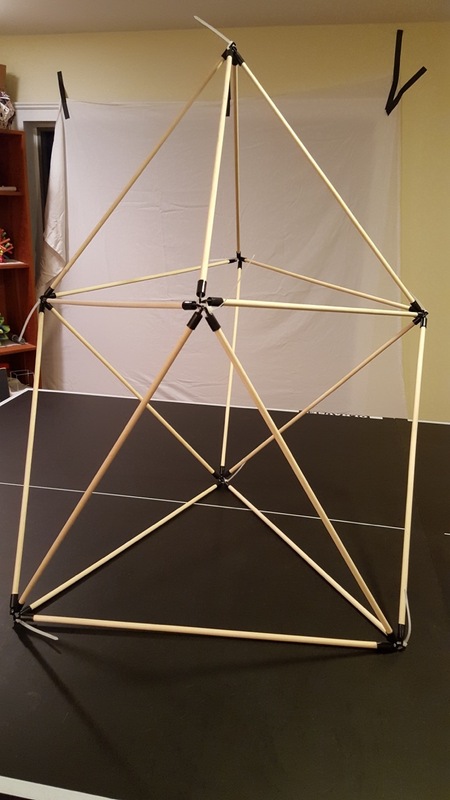 Push one of the plastic end caps onto each end of every dowel. 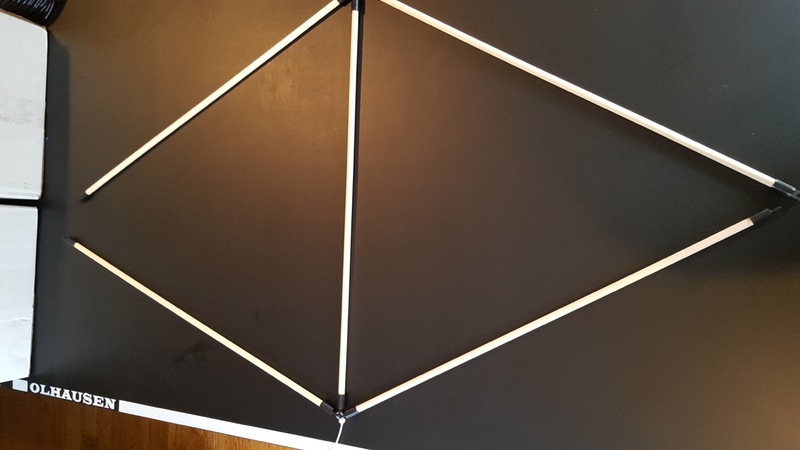 Push firmly, so that the dowel is inserted into the end cap as far as it will go. 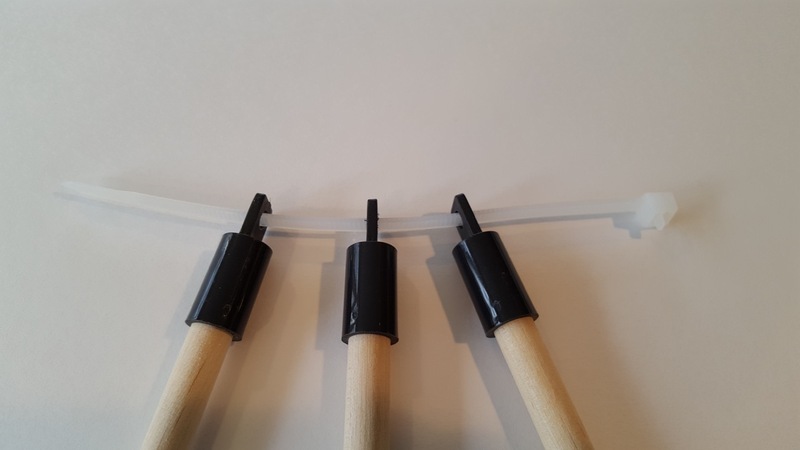 If any end caps do not fit firmly onto the dowels or come off at any time, they should be glued in place with any glue appropriate for use with plastic, because there is no need to be able to remove the end caps. 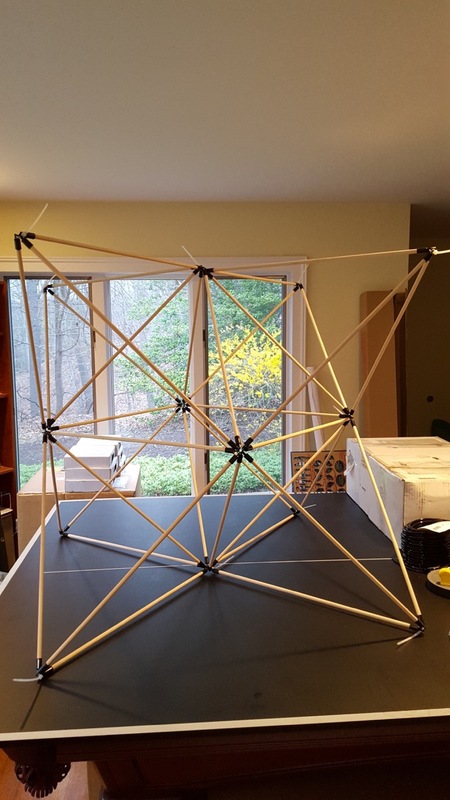 Structures are assembled and disassembled with the removable zip ties. 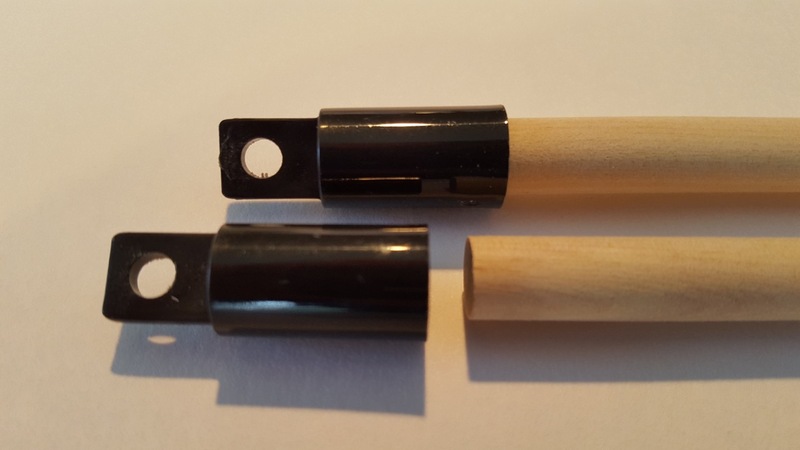 Important: the two end caps on any given dowel must be parallel; in other words, when you lay the dowel on a flat surface so that the tab on one cap is horizontal (you can look full-on directly through its hole straight down to see the flat surface), the other tab must be horizontal as well. 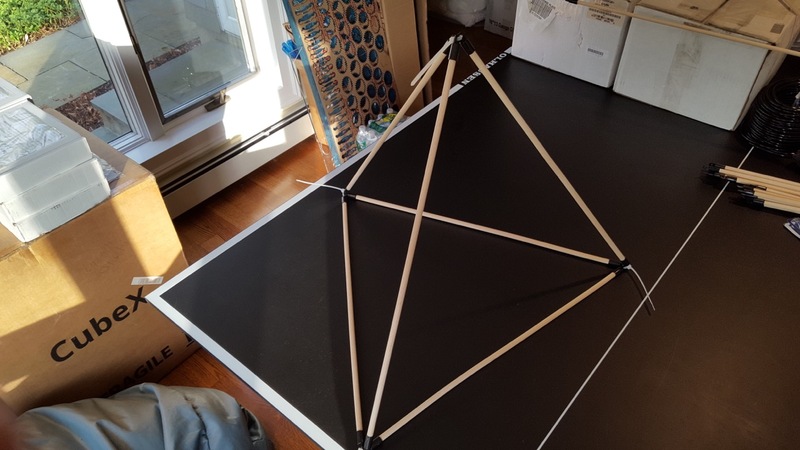 Do not securely fasten both end caps on a given dowel (either by seating firmly or gluing) until you have aligned them in this fashion. 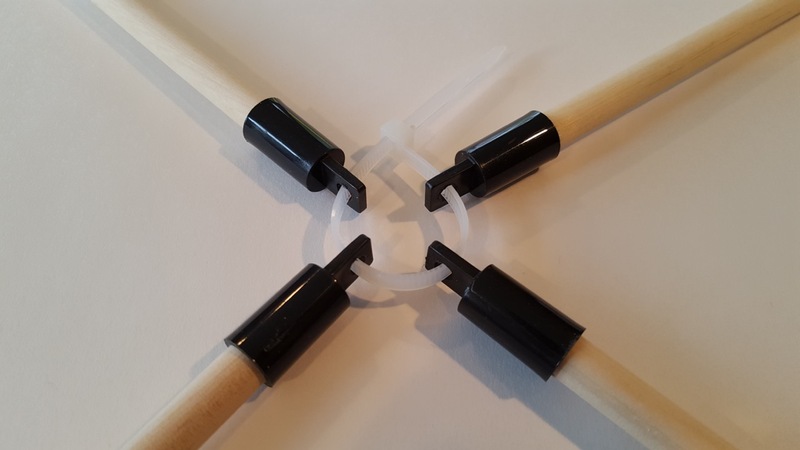 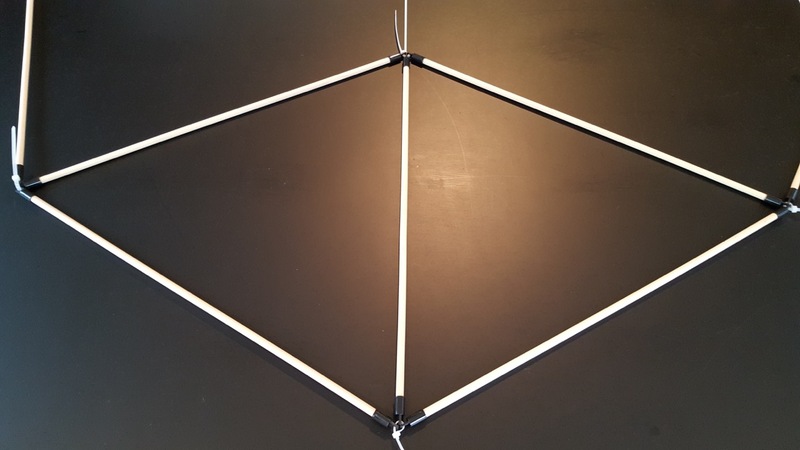 You can create three-dimensional structures with ZipStix by inserting the removable zipties through the holes in the end caps of several sticks [left], and then closing the zip tie and pulling it tight to link the sticks together [right]. 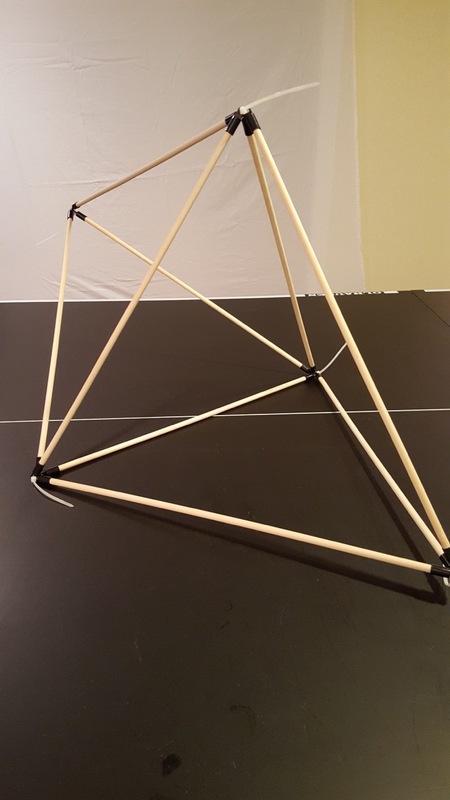 to form networks, [left] especially incorporating triangles which add rigidity [right]. 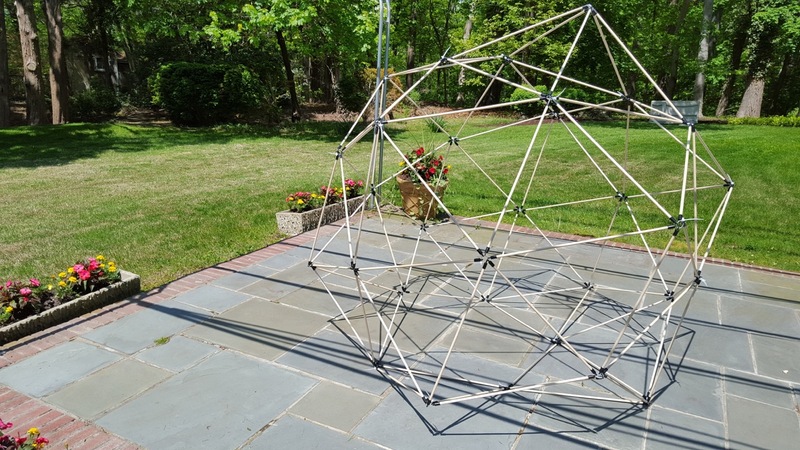 Eventually, you can create networks which will form rigid three-dimensional structures. 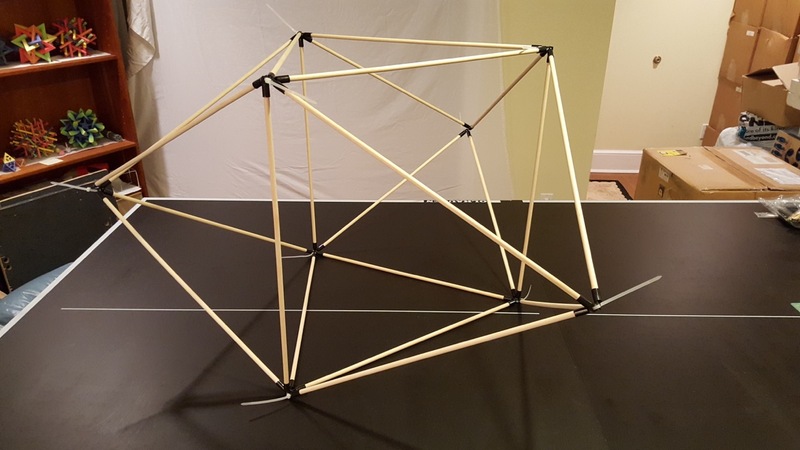 [left] It’s generally a good idea to leave the zipties loose at rst, [right] and then pull them all tight when the structure is complete. 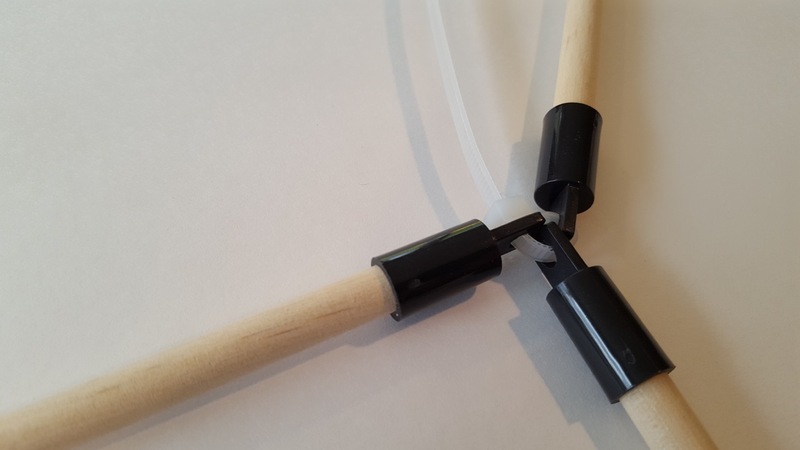 Sometimes you may want to remove a ziptie and thread it through the ZipStix at that junction in another order to better route the ZipStix to their other endpoints and to be able to pull the zipties tighter. 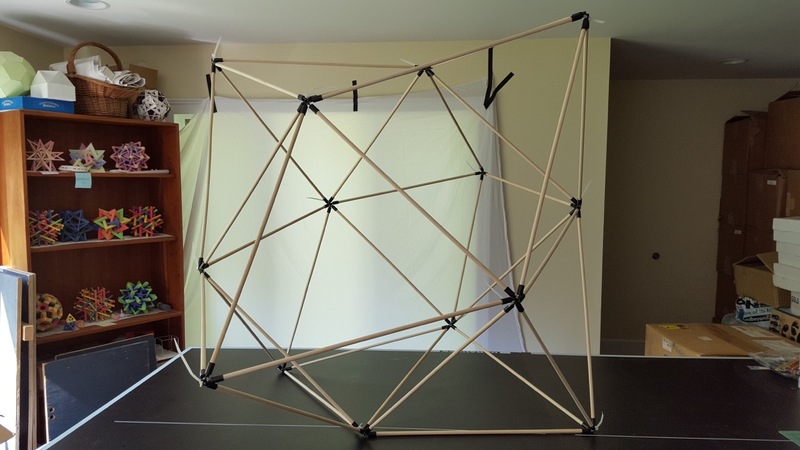 Click on the ZipStix construction to view detailed instructions.